Travelers, even the type that heads for a cosseted resort in a first world country, know to be careful about the local water. But what do you do when you are in a country where there is no safe water? Buy bottled water you’d say. Most of the time that would be a good idea, but not always. Shortly after the rout of the Taliban in Afghanistan I arrived to work as a communications adviser to the NATO force stationed in Kabul. For the military, clean water is of prime importance because sick soldiers don’t fight well. During my entire time in Afghanistan spanning several assignments, ISAF flew in every ounce of water for its 5,000 troops. You can just imagine the cost of flying water from Germany and Dubai. The rest of bottled water made its way to Kabul by truck from Pakistan, ostensibly made by Naya of Canada and bottled in the subcontinent. Naya is produced in Quebec Canada and the company claims to be one of the most carbon friendly firms on the planet. But what I ask you is the carbon footprint of shipping water (even if it is in a tanker and not a bottle) across 12 time zones? 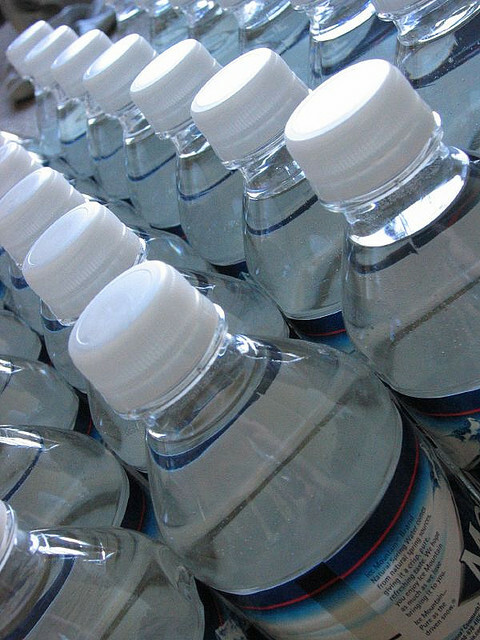 The caps of plastic water bottles are sealed with shrink wrapped plastic. The idea being that any attempt to tamper would result in broken plastic. Entire air cargo haulers flew hundreds of thousands of water bottles like this into Kabul every day. That’s fine, but central Asia is home to entire villages that copy weapons right down to the serial numbers, factories that turn out pirated software which comes with its own pirate toll free support numbers, and ersatz scotch manufacturers who speak Gaelic with Pakistani accents. And so it is with bottled water. You have to be very wary about buying water from a roadside stall in Kabul. The Bulgarian Embassy found that out shortly after they opened their new offices. Located as it is in what passes for the upscale diplomatic centre of Kabul, where roadside stalls charge the foreigners far more than their countrymen elsewhere in the city get charged,a certain misplaced sense of trust in the local merchants can be deceiving. When the embassy buyer bought a box of 12 one-and-a-half litre bottles of water, he checked to make sure that all the plastic shrink wraps were intact. They were too. And remained sealed all the way back to the embassy where the first was opened. During the evening meal the first was opened. The reek of sewage killed all appetites. Some enterprising bottler had found to make sweet money out off rank sewage. Whether this was a true story I was never sure although I did get a bit of confirmation from a Bulgarian officer who said he had been told by a low level embassy staffer that it really had happened. 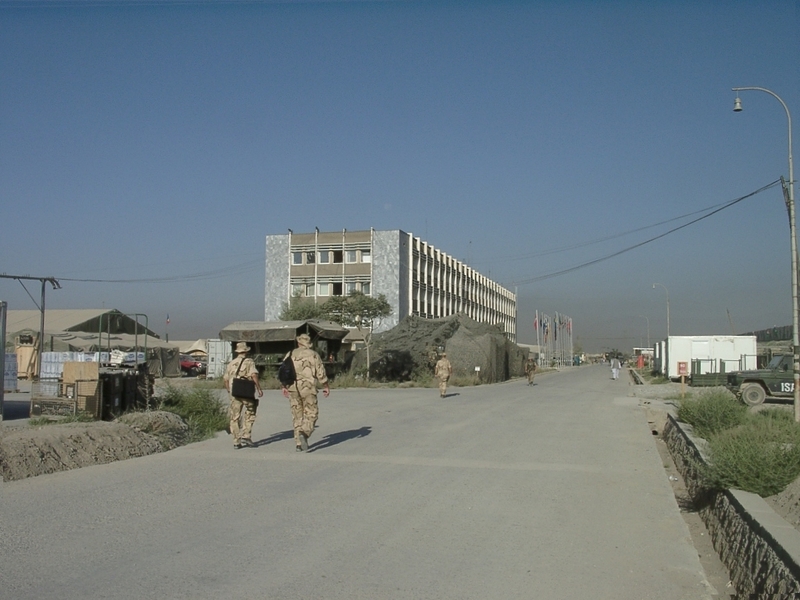 Regardless, the tale cause a two day panic at Camp Warehouse, the battalion fighting headquarters for ISAF. Take a look at this photo I shot of the main street. Just at the left of the two soldiers walking you can make out some shoulder high pallets of bottled water. There were a couple of dozen or so dotted about the camp. When the tale about the Bulgarian Embassy ran around it panicked a young captain working in the Psychological Operations, or PsyOps, unit I was attached to. One of his duties was to send out daily bulletins warning of bomb threats, suspicious vehicles, and such like. He dived into his wordprocessor and pulled out the largest and fanciest fonts he could find to construct a wildly irresponsible warning about how all water supplies had been contaminated in a bio-terror attack and warned everyone to avoid the bottled water like plague, which is what he probably thought it contained. It was all over in a few hours. Just another day of rumours and wild fears in a combat zone.